Mess: the word on the tip of every viewer’s tongue. I don’t think there’s a single scene that works, every atom seems to have been tainted. It’s crazy bad. Incoherent, hallucinatory babble. 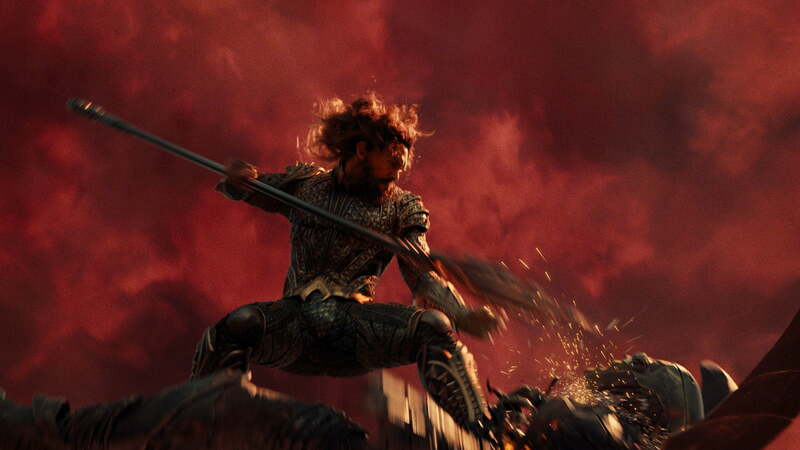 It’s impressive, and of course continually dispiriting, to see just how venal and opportunistic Warner Bros can be and how badly they can bungle their own beloved franchises. They just cannot succeed – and I don’t know what all of you people are talking about with this praise for Wonder Woman, a decidedly conventional blockbuster. I didn’t hate Justice League – most people don’t seem to – Warner Bros has just gone so far out of its way to make it impossible to love. I, like so many of the rest of us, were ready and willing to hand over our time and money to be entertained by such clearly ridiculous conceits. Cyborg, for instance, I always knew would be a tough sell, just like Wonder Woman herself would always be a tough sell. And Barry Allen – there’s some throwaway line claiming he was struck by lightning – is that all it takes anymore? Like being bitten by a radioactive spider, or falling into a water tank filled with electric eels, the child thinking that leads to child fantasies? Cyborg is godlike and seems capable of doing the work of every other Leaguer on his own. Nobody had a clue what to do with Aquaman. His “powers” are irrelevant beyond that superhuman brawn. He hails from yet another invisible civilization that co-existed for millenia right here on Earth (a dynamic I’m not looking forward to repeating in Black Panther) – and, as with Cyborg, as with every other incredible thing we’re presented with, this information is supposed to be accepted without blinking, like the doctor who just delivered your wife’s baby smilingly handing you an octopus. I recall late into the film realizing just how bizarre Aquaman’s presence was when we witnessed him engaging in demon pitchfork combat as high up as the peak of a skyscraper – not exactly talking to fish, are we? Somehow I didn’t hate it. The film slowly fed on the limpid ambrosia of hope inside me, like every viewer. And you should feel taken advantage of when its all over, because you enabled the most cynical cash-grab (thankfully I only forked over $6.50). The strange thing is that there’s no way not want more (like Trump’s ascendence, I don’t believe this was anything more than a happy accident) – to not yearn for the purity of Zack Snyder, a man who seemingly promotes fanatical bygone nationalism, who pens a “world in chaos” into a slow-motion shot of a douchey dudebro kicking over a carton of oranges. Because we know that man’s product, even at its unholy and turgid 170 minutes, would be vastly superior to this executive focus group horseshit. But Zack couldn’t be present. 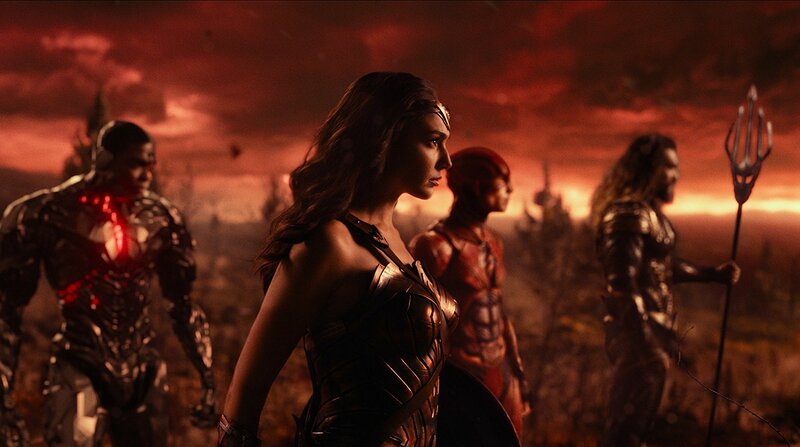 I’m continually fascinated that those clueless Warner Bros suits were so keen to trim down the film’s length since audiences have now been conditioned to expect these superhero extravaganzas to exceed 150 minutes as a matter of course – it really wouldn’t have been such an egregious offense, especially considering how much material we were expected to swallow. You can’t have your Bollywood epic featuring every genre without having its four hour runtime. On Joss Whedon: his successes relative to the rest of Marvel’s authors endeared him to me, and now seeing him work alongside Snyder has respoiled him, and reminded me the man comes from television. How else can you explain Justice League‘s hands-down worst scene, when poor Amy Adams converses with poor Diane Lane in the most uninflected shot-reverse-shots imaginable? Why hire Whedon, why not just literally do it yourselves? Clearly anybody could’ve. After the sensory overload we’d endured til now, that scene’s shift in pace gives the viewer a sort of sensory whiplash. “What am I looking at..? I don’t understand.” But it also reminds me of what Whedon does, what he has to offer – a focus on the charming minutiae of personal interactions, so seemingly incongruous with films of this scale. It needs the infinite, deadlineless pace of serialization. Oh, and I like Ciarán Hinds. I don’t blame him.